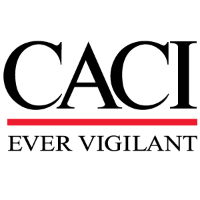 CACI International has an immediate opening for an Technical Writer located in Ft. Belvoir, VA.
Researches, organizes, writes, edits, and produces technical data for major publication projects. Organizes material and writes descriptive copy according to standards regarding order, clarity, conciseness, style, and terminology. May participate in the establishment of style guidelines and standards for texts and illustrations. May provide work leadership for lower level employees. Development and enforcement of document format and branding standards across all program documentation; and the organization and configuration management of program documentation. Conceptual, quantitative, organizational, research, written and verbal communication, sound judgment, problem solving, and independent working skills. Interpersonal and teamwork skills to work with individuals and organizations, to include varying levels and types (Government, Industry, and Academia). Facilitation skills to bring diverse groups together on issues and reach consensus across stakeholders. The ability to perform complex analyses and to communicate the results using accurate, concise, and effective writing and through descriptive and graphical representations. Technical understanding of requirements and contract-specific lines. Flexibility in assisting with ad hoc tasks and in adjusting as tasks are re-prioritized. Prior experience in writing reports for senior leader audiences in the Army HQDA CIO/G-6. Prior experience on a program with interfaces to multiple Army HQDA CIO/G-6.leadership or customer organizations. Typically requires bachelor's degree or equivalent, and five to seven years of related (technical writing/editing) experience.